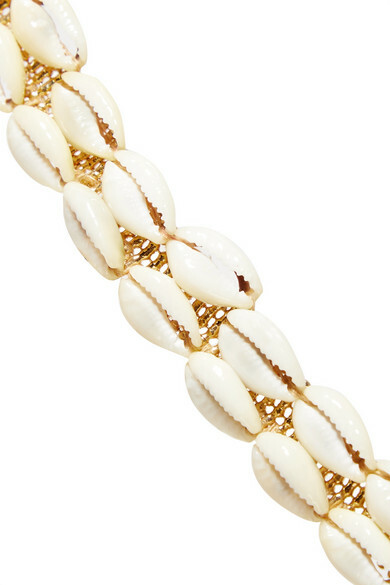 There's no denying that shells are one of the biggest jewelry trends this season, but they've been an Isabel Marant signature for as long as we can remember. 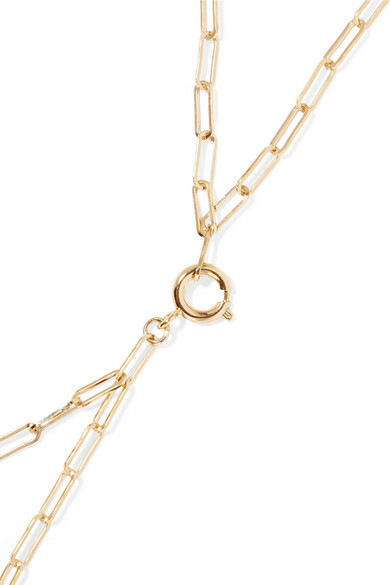 This gold-tone necklace has a layered choker that's strung with long, adjustable chains. It works equally well for casual and dressy occasions. 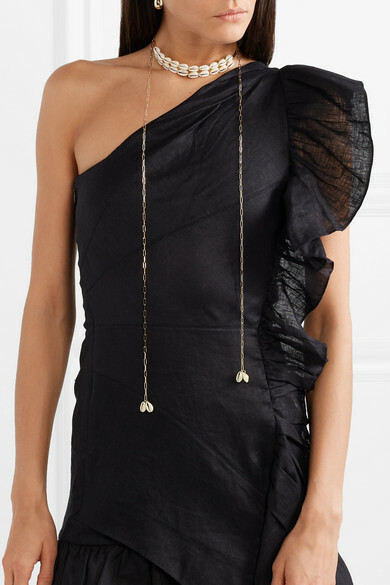 Shown here with: Isabel Marant Étoile Dress, Loren Stewart Earrings.